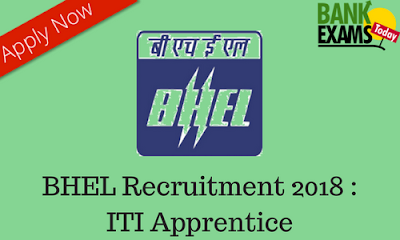 Bharat Heavy Electricals Limited(BHEL) has recently released the Notification for ITI Apprentice. Apply online between 04 January 2018 and 03 February 2018. 10th /equivalent / ITI in the trade.